MEGA's March 2018 cover girl and VIVO influencer Kisses Delavin proved once again that she has what it takes to be a beauty queen. 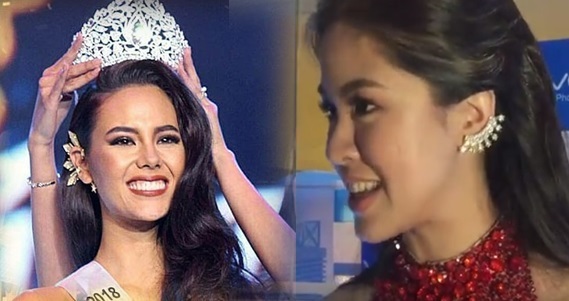 During the premiere of the #MakingMegawithKissesDelavin documentary last March 25 at the Cinema 4, Shang Cineplex, the rising star answered the question that was thrown at Miss Universe Philippines 2018 Catriona Gray in Binibining Pilipinas 2018. Without wasting time,Kisses sincerely responded to the same question: "Never lose hope, kasi if they find inside themselves that "hope" that will never go out. If the hope is inside you, that will fuel you to do anything, you can absolutely deal with anything."